The Texas Supreme Court made a ruling last week that may change the way we look at inheritance rights in Texas. In many family disputes concerning the estates of a loved one, there is a claim that a will is not valid due to lack of capacity or undue influence. But what if there is no will to probate because the perpetrator had the Deceased sign a deed transfer ring their house, or made them beneficiaries on bank accounts or life insurance policies, all which make probate unnecessary. 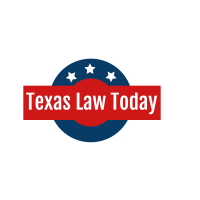 In May of 2017, the Texas Supreme Court refused to rule on whether Texas has a Tortious Interference with Inheritance Rights cause of action. But in an about face, this month they took the plunge in Archer v. Anderson an appeal out of the 3rd Court of Appeals of Texas. In that case, the Texas Supreme Court found that the tort of interference with inheritance is not recognized in Texas. Intentional Interference with Inheritance means one who by fraud, duress or other tortious means intentionally prevents another from receiving from a third person an inheritance or gift that he would otherwise have received is subject to liability to the other for loss of the inheritance or gift. (Restatement of Torts Section 774B) However, not all restatements are made into law in all states and Texas has never drafted a specific law on this issue. The overall point of the Texas Supreme Court was that the testator (Decedent) has the right to dispose of their assets anyway they want. However, if they lacked the capacity, were coerced or mistaken in their bequest or gift then the courts are able to undo the bequest or gift. Also the Court already has broad authority to rectify inequalities using a constructive trust in an action for restitution to prevent unjust enrichment. These specialized doctrines and procedures in the probate court help distinguish the true intent of the testator. Therefore the cause of action of Intentional Interference with Inheritance is not needed. While the court is correct that the Archers had other adequate remedies to recover against the perpetrators, those remedies do not allow them to recover attorney fees and court costs. So the moral of the story is take care of your loved ones, stay in their lives and make sure no one takes advantage of them! Trusts can be useful tools in a divorce proceeding especially when a spouse has a direct or indirect interest in a trust. Counsel should identify specific trust features that could make a difference and impact whether trust assets can be reached, potentially affecting alimony and property division determinations. Within the context of a divorce, trust and estate attorneys should understand specific discovery techniques family law practitioners may use to determine whether a spouse has an interest in a trust, whether that interest is material, and what attack can be made against the trust. The key is make sure your attorney is knowledgeable before you do any estate planning in anticipation of a divorce. 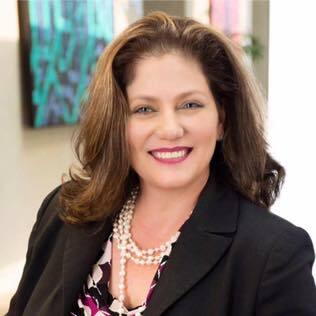 This entry was posted in Estate Planning, Family Law and tagged decker-jones, divorce, estate planning, Fort Worth, patricia cole, texas, trusts. This entry was posted in Uncategorized and tagged medical poa, medical power of attorney, poa, texas.